In my first post in this series titled Big Challenges for Small Business Owners, three important areas for small business success were outlined: people, finances, and time. 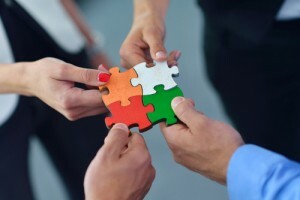 In the second post titled The Small Business People Puzzle (Part 1), we discussed finding, attracting, selecting, and on-boarding the “right” employees. In this post, we need to address other key aspects of the people puzzle: training, motivating, and retaining them. Training new people is particularly challenging for small business owners. Most don’t have the time or expertise in-house to develop effective training materials or the luxury of professional trainers on staff. So, what are some alternatives to fill this void? The most common solution is to charge an employee who has knowledge of the job function(s) with teaching them. This provides the advantage of relatively low costs. It has several disadvantages, including passing on gaps in knowledge and reduced productivity of the assigned “trainer”. While the informal training approach just outlined may make the most sense when there are few to be trained and turnover is low, this solution can be a poor answer when this is not the case. As with on-boarding, taking the time to develop and document self-paced training materials can provide more consistent performance and reduce ongoing costs if multiple hires are anticipated and turnover will multiply training needs. This more formalized approach might best be accomplished by engaging an outside training development consultant for a temporary period. Yes, people can be puzzling. In the last post and this one, though, the fundamentals for procuring and keeping high-performing employees has been outlined. I’m not saying these things are easy. What I’m encouraging you to do, however, is to give it a good try so you can avoid the cost of not solving the people puzzle. With a reasonable amount of time and effort, you can build a high performing team that makes managing them a pleasure and contributes notably to your company’s financial success! Good luck and best wishes.